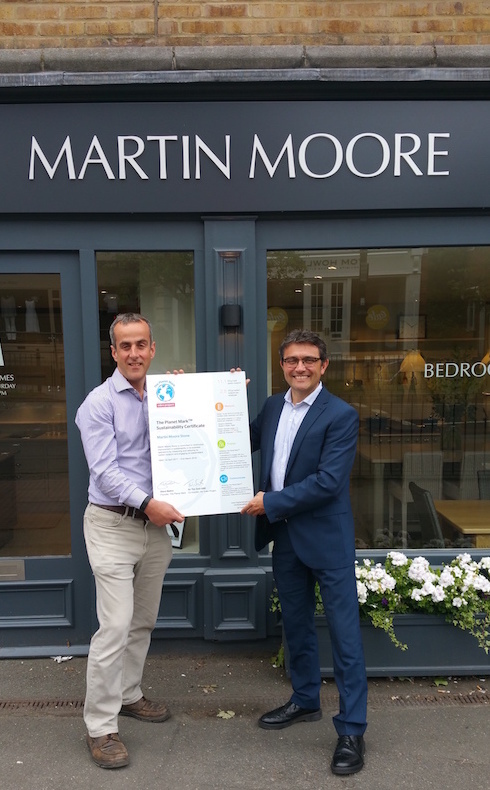 This month we are very proud to receive our first year of certification with The Planet Mark™. committing to engage employees and suppliers to drive improvements. We have also upgraded to energy efficient lighting in all our showrooms, including fitting timers and movement sensors to turn lights on and off. We segregate waste to encourage recycling and have the paper recycled by a contractor. We also buy recycled jiffy bags for all our samples and small packages we send out. Among the new measures being employed to reduce our carbon footprint, we are switching to the most efficient routes to get our goods from the quarry to our clients and shipping as many orders together as possible from our supplier to reduce transport movements and costs.